I have thoroughly enjoyed reading Tell Me Where It Hurts by Dr Nick Trout. Appropriately subtitled “A Day of Humor, Healing and Hope in My Life as an Animal Surgeon,” this book tells the story of one very long day in Dr Trout’s professional life. As the day unfolds, a range of human-animal stories are revealed with wit and compassion. This book reads a little like the veterinary version of ER, since the Angell Memorial Animal Center where Trout works is a teaching hospital. 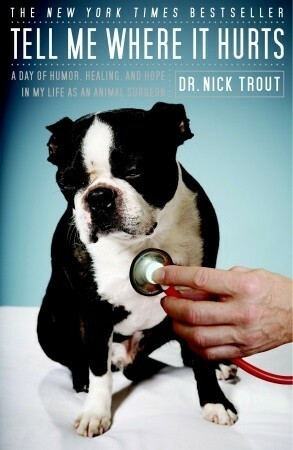 If you liked the television show ER and you love animals, you’ll like this book. Appropriately, the cover of the book features a Boston Terrier. 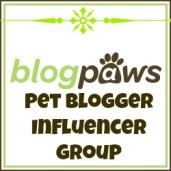 The Angell Memorial Animal Center is located in Boston. 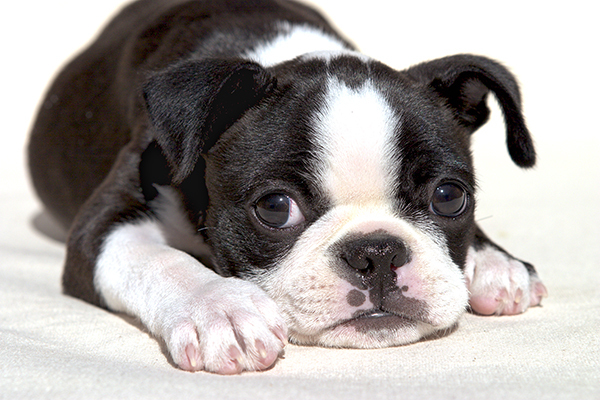 For all our friends and family in Boston, this Boston Terrier is for you – we are thinking of you and join you in your grief.